Discover the Secrets to Taking Back Control of Your Time, Getting Organized, Eliminating Office Clutter and Getting More Done… IN JUST A FEW SIMPLE STEPS! Working in ministry and assisting pastors and leaders is a job that requires skill, compassion, discipline and even a sense of humor. 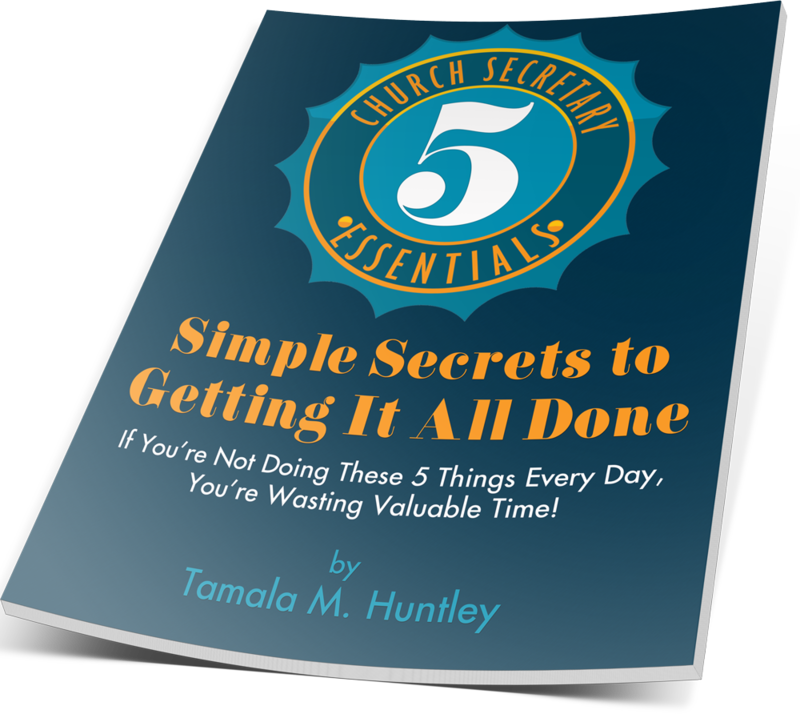 I believe there are at least 4… definitely more I’m sure… but no doubt 4 things that every church secretary and assistant absolutely must know in order to serve in this assignment with grace, productivity and fulfillment. This may not seem like a big deal, but it most definitely is. When you know who you are, you are confident in what you can do and it shows up in your job performance. You have an inner strength that is resilient in the midst of any obstacle. 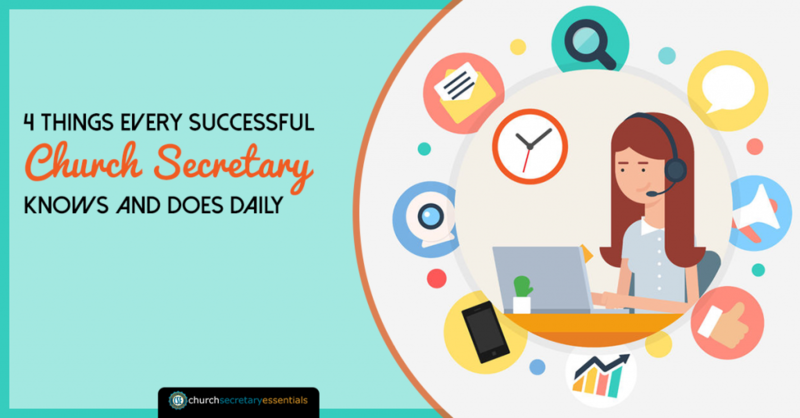 As a church secretary, you need that kind of strength. No question. The key is remembering where the strength comes from. And that’s a part of knowing who you are. When you know who you are, you also know Whose you are. When you know who you are, you understand and are in tune with your purpose. If you ever feel like your passion for what you do is waning, stop and evaluate our “who”. It is only by knowing who you are that you can know what drives you and what fuels your passion. Your purpose will align with your passion and it all stems from you having an understanding of who you are. What makes you happy. What makes you feel fulfilled. Until you identify these your true potential will remain dormant inside of you. Proper communication is vital to any relationship. Sadly, many people have no idea how to do it effectively. Many times, especially when we are super busy, we rush through every moment and never take time to actually be present in the moment. As you can imagine, with any relationship this causes problems. So naturally, when it comes to working relationships poor communication is downright disastrous. In ministry, the communication between the church secretary and their pastor/leaders is even more critical because so many members depend on the ministry. In order to be successful in your career as a church secretary, you have to learn how to communicate with clarity and for understanding. No ifs, ands or buts about it. Systems help you flow smoothly with your Pastor because your performance becomes predictable and dependable. Once you have your system in place, you can determine which parts of it can be automated and/or delegated. If you don’t know your Pastor’s vision, whether you are a member of the church you work at or not, you’re headed down the wrong path. Working in ministry is different than any other career. I can say this after having done both and knowing countless people who have too. And we all know this to be true. The spiritual side of it makes it unique. Your Pastor’s vision is what gives direction to your efforts. It’s the why behind your what. It’s the reason you and all of your co-workers have a job. Understanding and supporting your Pastor’s vision gives direction to your efforts and keeps you focused. When you see church splits, it’s because somewhere along the way the person who split lost focus on who’s vision was to be followed and maybe started following their own vision. When you find yourself fighting against negative emotions and offense, remind yourself that it’s not your vision. It’s not your vision that God is holding your Pastor accountable for. It’s not your vision that has to lead the “sheep”. When you understand the vision and change your perspective, it will make the distasteful elements of the “cup” you must bear more palatable.